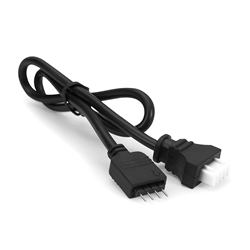 Connect any of Cyron RGB controllers to Cyron RGB ribbon products by using this adapter. 12" cord makes wiring easier. 4-pins are removable to make it compatible with male and female 4-pin plugs.